Setting up a cord blood bank is challenging, not least because quality is an important criteria when selecting a cord blood unit for transplantation. WMDA has taken over the activities of the NetCord Foundation and, together, both organisations are developing programmes to provide countries that would like to start a cord blood bank with help in this complex process. There are many considerations that are vital to a cord blood bank’s success, such as creating robust information technology and finance systems. It is also important to assess the feasibility of establishing a cord blood bank in the country of choice. Other factors to consider are evaluating the status of unrelated donor transplantation, the need for unrelated donors, and any existing blood banks in that country. Planning tasks include determining the optimum size of the bank, strategies on how to collect and store units and how to perform tissue typing. 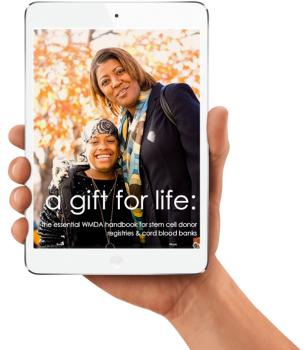 WMDA has developed a handbook with an overview of the steps that need to be taken to start a cord blood bank. It is available on request from the WMDA office or for free if you join WMDA. The NetCord-WMDA Cord Blood Working Group is a group of active people that work within a registry (facilitating cord blood products for patients in need of a transplant), within a cord blood bank (processing cord blood) or a transplant centre (infusing cord blood). The working group meets twice a year and works on the following areas. Observation: Annually reports are given about the global number of cord blood transplants and the number and the specification of cord blood units provided by the global cord blood banks. In addition, EuroCord provides information about how transplant centres are recommended to select cord blood units for their transplants. The last observations involves reports of adverse events related to cord blood in order to evaluate if the community has to decide if cord blood policies and procedures need to be changed in order to avoid serious adverse events in the future. Harmonise: The goal is to work towards a high-quality cord blood inventory worldwide. This is achieved by identifying the state-of-art banking practice. Beside this processing related harmonisation, also communication between the international cord blood banks and the international transplant centres is improving by the implementation of standardised cord blood unit reports and promoting accreditation programmes for cord blood banks (FACT, AABB). 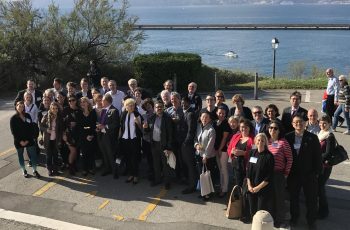 Dissemination: All the work done by the NetCord-WMDA Cord Blood Working Group is published on the WMDA member website (WMDA Share) and in the WMDA handbook. Also the NetCord-WMDA Cord Blood Working Group tries to discuss organisational models with the aim to get cord blood banking sustainable. Every other year a cord blood banking day is organised to educate about cord blood banking practices. WMDA sponsors standards and accreditation for umbilical cord blood banks. To ensure high and uniform quality of all cord blood units in the global inventory, NetCord began collaborating with the Foundation for the Accreditation of Cellular Therapy (FACT) in 1999. In 2000, they jointly published the first edition NetCord-FACT International Standards for Cord Blood Collection, Processing, Testing, Banking, Selection and Release. New editions of the Standards are published at approximately three-year intervals and contain information on the latest developments and requirements of high-quality banking. By merging with NetCord, WMDA took over the collaboration with FACT and is actively promoting the NetCord-FACT accreditation programme. For NetCord cord blood banks it is possible to register for educational webinars, and also the website of FACT provides information about quality within a cord blood bank.